Learn from Martin H. Nguyen, the General Counsel, of Action Sports at BRG Sports, Inc. as he explains how protecting a brand is truly protecting a consumer. 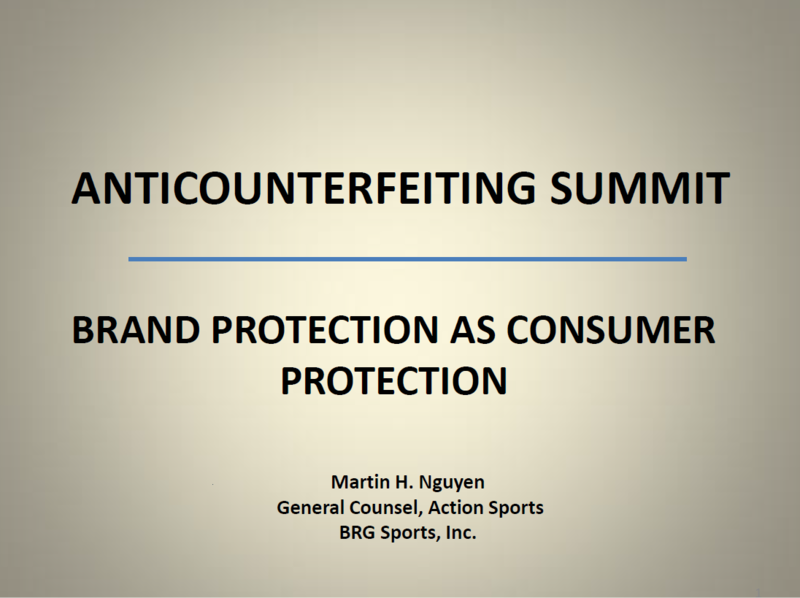 This is a presentation from the 20th Anti-Counterfeiting & Brand Protection Summit. To join us for the 21st iteration, running January 28-30, 2019 at the Argonaut Hotel in San Francisco, CA, please email enquiryiqpc@iqpc.com .